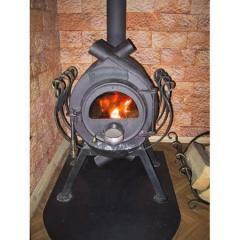 Furnaces calorifer on solid fuel, BULLER, the Potbelly stove, Toronto, any power, complex heating. 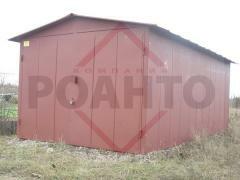 Garage-3Х5-1,5mm Price of UAH 24200 Category: Garages from ferrous listoy metal, Metalwork. 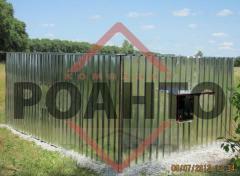 Company producer of a metal tile, professional flooring, roofing accessories. 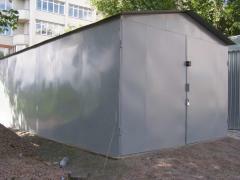 The garage is new, from ferrous metal 1,5mm, only 15950 UAH! 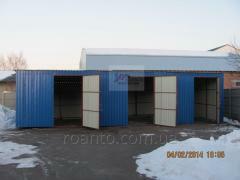 Unbelievable price on Metal Constructions in Kiev (Ukraine) company Roanto, PP. Wide choice of quality products at affordable prices.